6 place card holder favors feature a gold cross. Ideal for christenings, 1st communions, baptisms confirmations and jubilees. 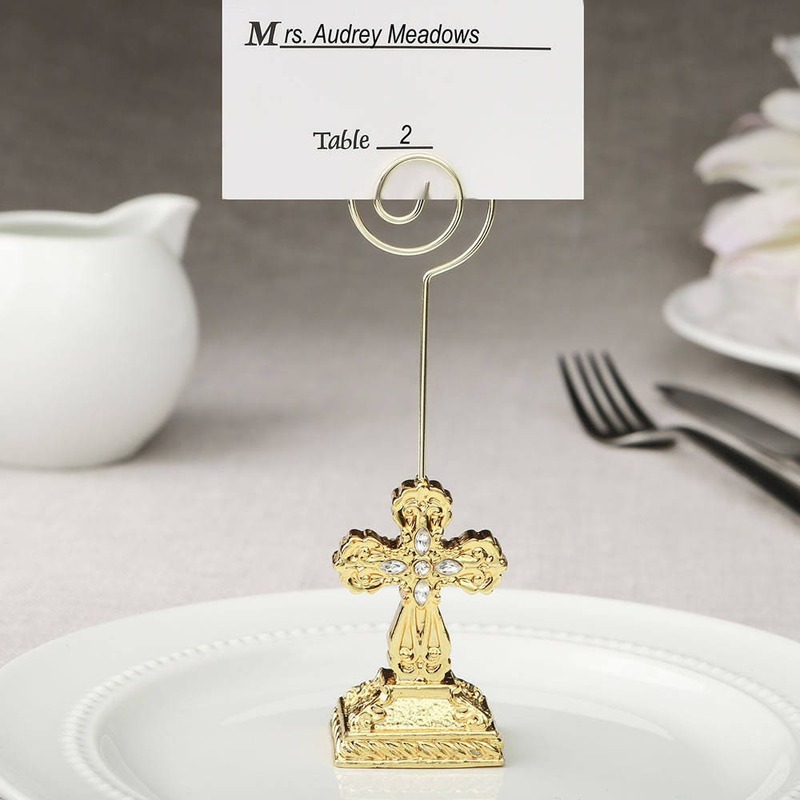 This Cross themed place card holder features a gold Cross standing on an intricately carved base. The Cross and base are finished in a magnificent metallic gold plating. To accent the design there are 4 clear rhinestones in the center of the Cross.